Retaining employees requires a fine balance, between providing challenges and communicating openly with those employees to make sure they’re happy in their roles. An employee wants a position to align with their dreams, interests and ambitions. They also typically want longevity, which will happen if they’re in a position that is both thought-provoking and inspiring. If they don’t feel continuously challenged, as if they are moving forward, then an employee will seek out employment elsewhere—and a company will lose an employee who could have otherwise been nurtured and moved into a new, inspiring role. You want to cultivate an environment where employees want to stick around, and contribute. Employees need to feel challenged. After spending a lengthy period of time doing the same old thing and never feeling challenged, an employee is going to begin to wonder what else is out there; they may begin looking for opportunities outside of their current position. It’s important to provide opportunity for your employees—as if they are moving forward toward something bigger and better. Making opportunities known can lead to more promotions. It’s often said that internal hires adapt more readily to promotion than outside hires, as they’re already familiar with the culture and the company’s typical procedures. Hiring outside can mean that a new employee won’t adapt as readily—they might not be comfortable with the company’s culture or practices, whereas an inside hire is likelier to already be comfortable with those features of the company. If it’s a well-established fact that current employees have the opportunity to move into leadership positions, this provides the incentive to work hard. It’s important to take risks with employees. 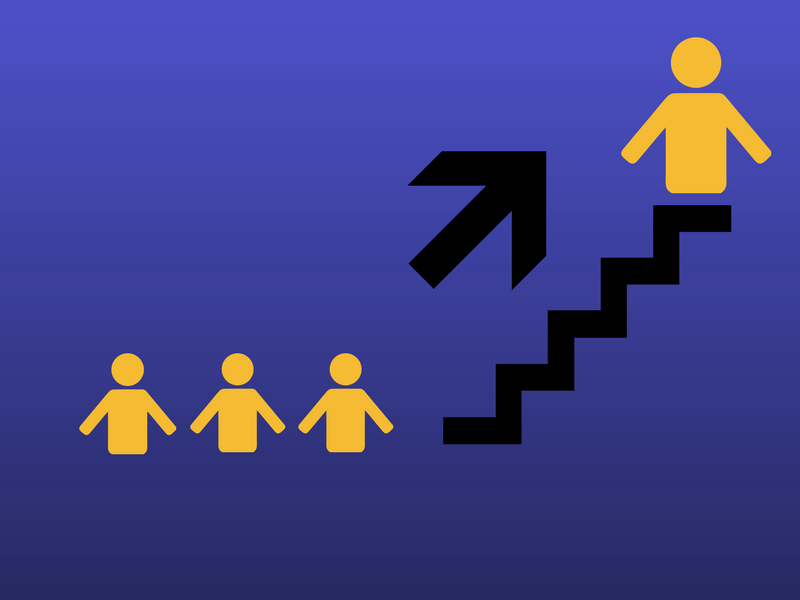 You may not have realized that some employees have aspirations to move up to a leadership position. You may already know about that employee’s job performance, attitude, work ethic, and so on. You might know how they work with leaders within the company. They’re someone you can rely and depend upon—and they’re itching to do more. It’s always a risk to promote an employee or give them new tasks, but it can be a beneficial risk to take. Pushing people beyond their limits, with a support net from other employees, is a great way to help other employees rise to challenges and grow. The mark of a strong leader is the ability to take risks, as well as the ability to work well alongside other different types of employees. When you notice those traits in an employee, it might be a good idea to test out their abilities in new areas. Promoting from within will also call for less training than someone hired from the outside. Choosing a new employee presents a certain set of risks in itself, and you want to be sure that your new employee has the self-confidence needed to step up to the plate. But when their current position doesn’t offer opportunities for development, an employee will become restless and begin to wonder—what else is out there? Promoting from within can contribute to a more positive work environment. Generating positive communication will allow employees to feel comfortable enough to communicate their ideal position. When an employee feels comfortable, they are most likely to share their opinions. A positive work environment will also help to nurture those employees with strong people skills—demonstrating that they are capable of moving up in roles. Beyond promotions, the opportunity for lateral moves between departments can also contribute to a more positive work environment. Employees have a great deal to offer other departments after gaining experience in their current role. Experiencing different areas of the company will develop well-rounded individuals who have an appreciation and broader perspective of other disciplines within an organization. Seeing other employees succeed within different areas of the company also sends a positive message to other aspiring associates—they may be inspired by the shifting landscape within the company, wanting to make their own moves. It’s important to hire from the outside, to avoid tunnel vision—it can be helpful to have an outside perspective every now and then, to challenge longstanding procedures. Promoting from within has its own advantages and disadvantages, and is almost always worth the risk—you never know who is itching to try something new.